If you're still interested in winning a copy of Ravena & The Resurrected, I have some good news! The contest will be extended until tomorrow (February 27) at midnight, so be sure get your comments in! The person with the most comments wins, and all you have to do is comment on this post telling me you're the winner (I trust you guys!). A Brief Summary of Ravena & The Resurrected: Life has never been smooth for Ravena Doomlah. Yet when she admits her fascination with Seattle's vampires to her coworkers, she feels all the more dejected. Not only do her coworkers shuffle away quickly anytime she approaches the company water cooler, but Ravena hears colleagues talking about her behind her back. Once bitten, she tries to hide her new "condition" and wants to keep her job but quickly learns lessons in self reliance when she discovers highly motivated Assassins are actively pursuing her trail. * There's a LOT of Seattle in this book! 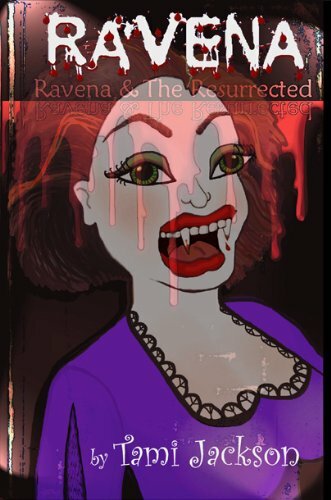 * Part of Ravena Doomlah's new vampire experience is spent underground in the ruins of old Seattle! * Fresh view on what it's like to suddenly become turned vampire amidst skeptics and ancient old beings who love to recite history. * Modern (present day) vampires with historic accuracy. Who wouldn't want to win this awesome book? You can check out my review of Ravena & The Resurrected HERE!